Is poor nonprofit management killing your organization? The area you serve, whether it is children, seniors, environment and conservation, wildlife, etc., depend on your organization for help. If you close your doors, many will be affected by it. If you’re not paying attention to trends such as social media, email marketing and blogging you may want to make your nonprofit comfortable because death is fast approaching. For example, do the people in charge think social media is a waste of time? If so, it’s no wonder you’re nonprofit is gasping for breath. Social media is a great marketing tool. Is it cheap, easy and free? Yes and no. It’s free if you open an account and don’t take advantage of paid ads. But, it can take time to learn. Time can be just as valuable, even more valuable, than money. On the flip side, you can create ads that will reach a large audience, but this costs money. 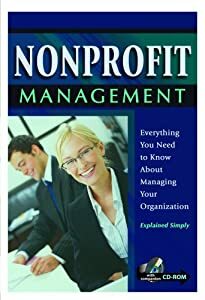 I’ve been studying nonprofit management for some time and discovered the warning signs that signal a nonprofit is dying. Read them below and see if you recognize the signs within your organization. 1. People do not know that your nonprofit exists. Do people even know that your nonprofit exists? If not, you have a major problem. There’s no way a nonprofit can survive without support from donors and volunteers. It’s the nonprofit management team (president, vice president, director, etc.) that should be speaking with local business and city leaders. You should be working together, not against one another. 2. Donations trickle in to your organization. How often do you receive monthly donations? If not, you have a problem. For example, if you’re a 100% volunteer-run organization, you can’t keep relying on your volunteers. Not only will your burn them out, but you’ll deplete their savings! Donations should come from all types of resources, e.g., local and national businesses and individuals. 3. No one shows up at your events. Do you hold events that no one shows up for? If so, you’re wasting time, money and man power. Putting on events just to say your organization holds events won’t do your nonprofit organization any good. You need supporters to show up and spread the word about events. 4. Board members do not have the business savvy to run a business. What’s the educational and professional background of your board of directors? If you keep electing the same people year after year, you’re not practicing good nonprofit management. Electing a board of directors should not be a popularity contest. Members should be elected based on their experiences, e.g., professional and philanthropic. Board members should actually make contributions to the organization. Seniority should have nothing to do with it. 5. No business or marketing plan. How can you run a nonprofit without a business and/or marketing plan? Like it or not, a nonprofit is a business. Sure, you may be passionate about being a bulldog rescue, but you won’t save bulldogs if you don’t have a business and/or marketing plan for your nonprofit. 6. Can’t recruit new volunteers. How many new volunteers have you had sign up within a month? It’s a problem if your nonprofit struggles to find and retain volunteers. Volunteers are like employees: they won’t do their best if they feel they’re not appreciated. Volunteers want to feel as if they’re a part of something big, not a dictatorship. 7. Current volunteers leave or don’t show up. Do current volunteers show up for their shift? Or do they quit after a few days or weeks? Again, volunteers want to feel appreciated. They also want to be a part of the organization by having their ideas listened to and discussed. If the nonprofit management team ignores volunteers, your organization won’t stay open for long. 8. Decisions are hindered by too many decision makers. Getting government funding for your nonprofit may be easier to get than approving a simple press release or flyer for an event. If the nonprofit management team puts up obstacles and roadblocks every time something needs to be approved, the organization will fold. There’s a time and a place to get approval from the board of directors. However, if qualified volunteers are questioned about this or that all of the time, they’ll walk and help another organization. 9. No social media or website. The board of directors can either embrace the latest technologies or watch as the organization dies. Social media isn’t going anywhere. It’s a fact that an organization needs a website. You better believe that other nonprofits have websites and they’re converting. If your nonprofit doesn’t have a website, you’re missing out on donations and supporters. 10. The organization is outdated, tired and old. How long has the organization been in business? If it’s been 10 years or more, it could be time to close or regroup. A nonprofit that hasn’t keep up with the changing times is in danger of closing. Why? Because there’s one constant in life and that’s change. If you’re not changing, you’re dying. 1. Elect a new board of directors. It’s time to elect a new board of directors! Announce that you’ll elect a new board of directors. Invite those who are qualified to run for the board. Of course, you’ll want to reach out to local educators, community leaders and business owners. You want a diversified board. Gather the volunteers and make sure they’re aware that an election will take place. Make the voting process easy. For example, make sure all nominees submit an updated bio and head shot. Next, print out a ballet sheet with the list of nominees and positions they’re running for. The next step is to print out envelopes with the following: name of volunteer and date. The ballet should go into this envelope. The final step is to get plain envelopes and have the volunteer print his/her name on it. The ballet envelope should go into this envelope and the entire package should be placed into a ballet box. Ask two trustworthy volunteers or non-volunteers to count the ballets. This way you can avoid a ‘cheating’ scandal. To learn more about how to elect a board of directors, visit Foundation Center. 2. Get on social media. It’s time for our nonprofit to take advantage of social media. Whether you use Twitter and Facebook or Pinterest and Facebook or LinkedIn and Facebook, it doesn’t matter. What matters is that you establish a social media ‘online’ presence. Hire a social media coordinator, reach out to local businesses that specialize in online marketing or ask volunteers if they have social media experience. Nonprofit strategic planning and business writing can be overwhelming. So… Hire a business coach who can help you write or rewrite a business and marketing plan instead of attempting to the documents yourself (if you don’t have an accountant and/or CPA on the board). Why? Because you’ll need to include nonprofit financial statements and these can be tricky if you don’t fully understand accounting practices. Make sure to include social media in your marketing plan. Why? Because it’s online marketing. While you’re at it, you may want to create a blueprint for your nonprofit. What’s a blueprint? It’s basically like an architect’s drawing of your business, except instead of a drawing of a building; you’ll have a drawing of how your nonprofit business will look. For example, will you have paying jobs? If so, will you have a president or CEO or both? Will you rent or purchase a building? You want to connect the dots, so-to-speak. 4. Develop and build strategic relationships. This is one of the most important if you want your nonprofit organization to have a long life. It’s the job of the president and/or CEO to build and develop relationships with journalists, reporters, business, community and industry leaders; the public, foundations and other key contacts. Why? Because a nonprofit relies on donations and grants. However, if you want to forgo the latter, you’ll need to meet with people who can keep your organization from dying out. And this means having breakfast and/or lunch meetings, attending events, council meetings and other activities that will keep the name of your organization on the lips of key people. Like it or not, this is part of running a business and your nonprofit is a business. If you don’t have a positive attitude, why bother showing up? If leaders are pessimistic, their bad attitude will spill over into the organization and infect everyone in less than 2.5 seconds! Having and cultivating a positive attitude will benefit everyone. Why? Because it’s a fact that people are drawn to those who are upbeat and positive. 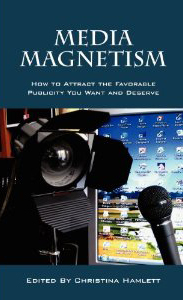 Good energy, well, attracts good into your life, or in this case, your organization. This means you can attract a better selection of volunteers, more donations, support from the community and so forth. Try it. You have nothing to lose but everything to gain. The above is just a snippet of why nonprofits die out along with a few ways to keep your organization from dying out. See if your organization has one or more of the 10 warning signs. If your organization is in danger of dying or near death, check out the list on how to save your business from dying, select a few of the tips and try them out. Do you see any tips that you can use now? What other nonprofit warning signs and management tips can you share? Share in the comments below. If you enjoyed this post, click here for free email updates!